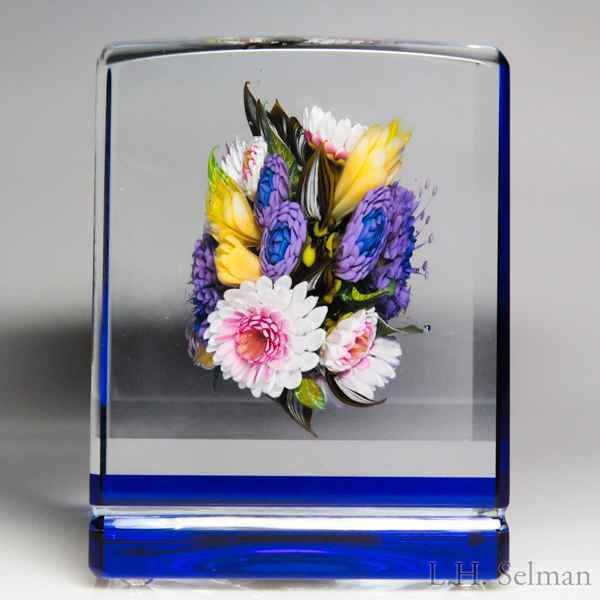 David Graeber 2018 chrysanthemum and bachelor’s button bouquet in blue cube paperweight. 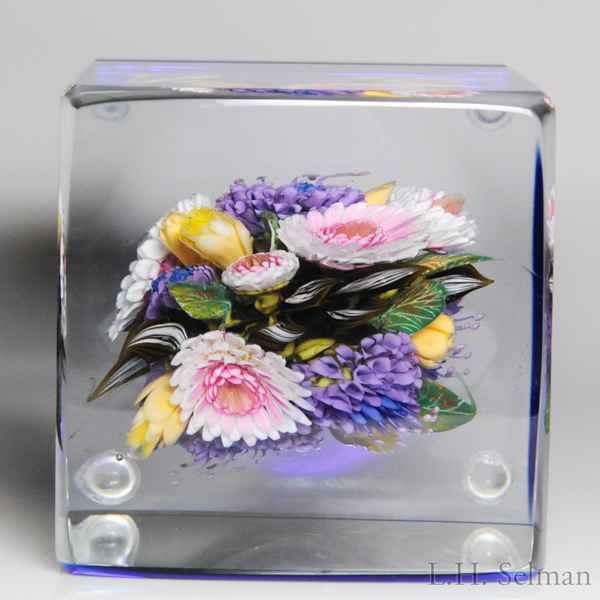 Dusty pink chrysanthemums and shaded purple bachelor’s buttons dominate a thick bouquet, with yellow blossoms and variegated green leaves occasionally poking through. 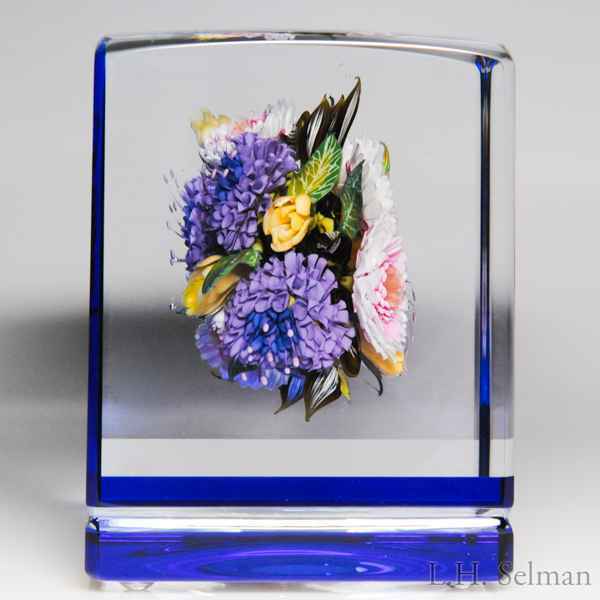 The bouquet floats at the center of a clear cube with a transparent cobalt blue backdrop. Signature/date cane. 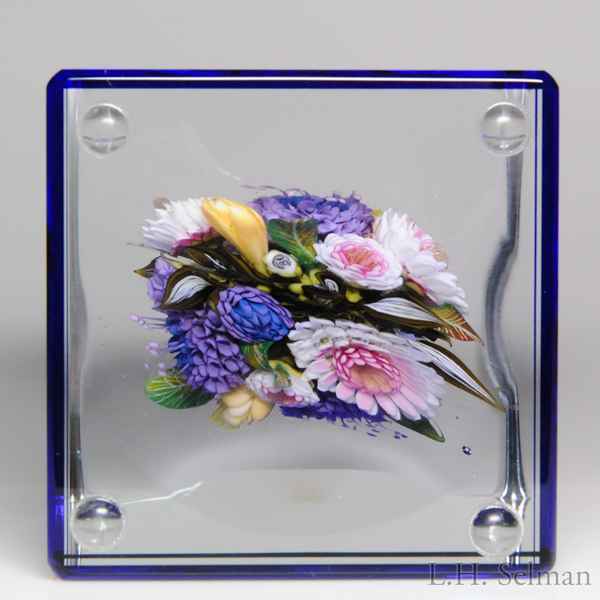 Height 3 9/16", width 2 3/4".